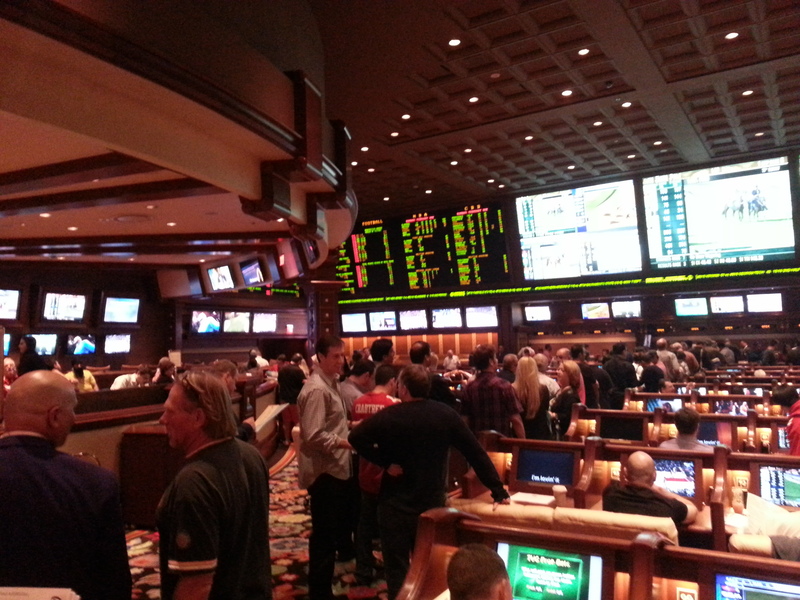 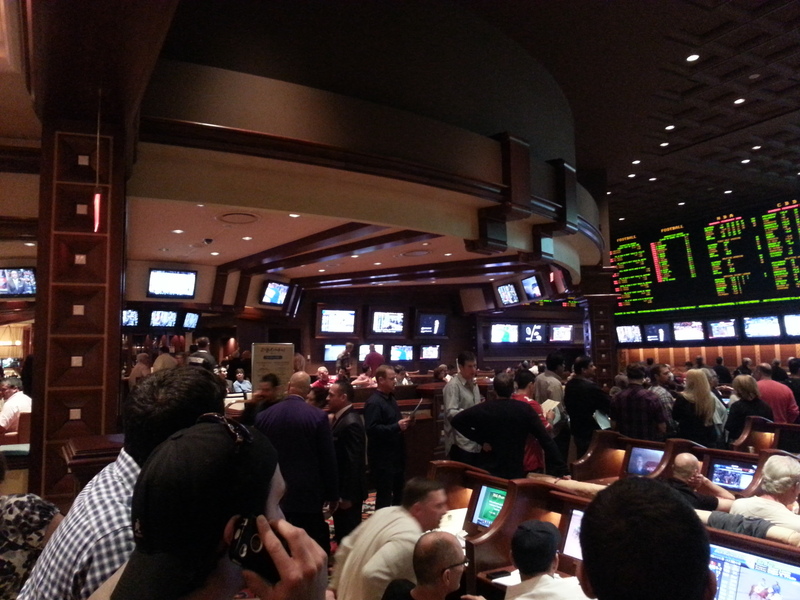 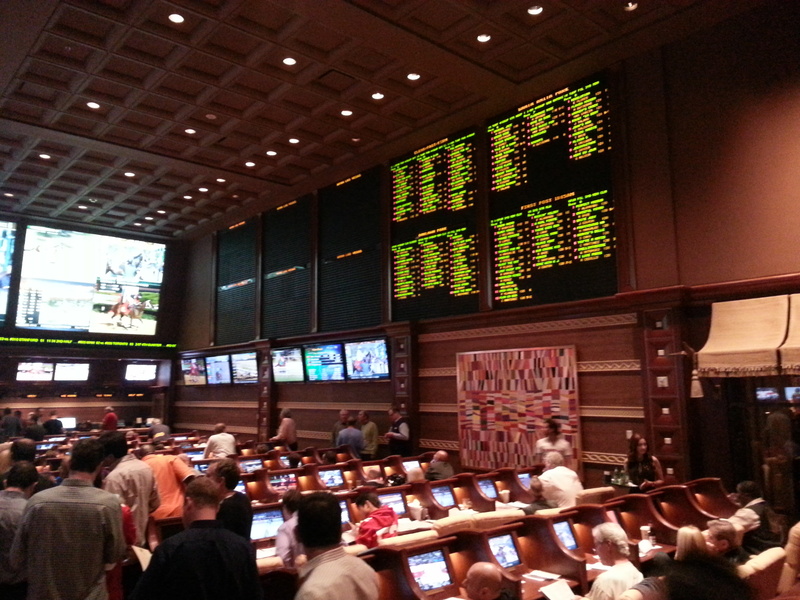 Vegas offers several luxurious sports books on the strip, including the Wynn. 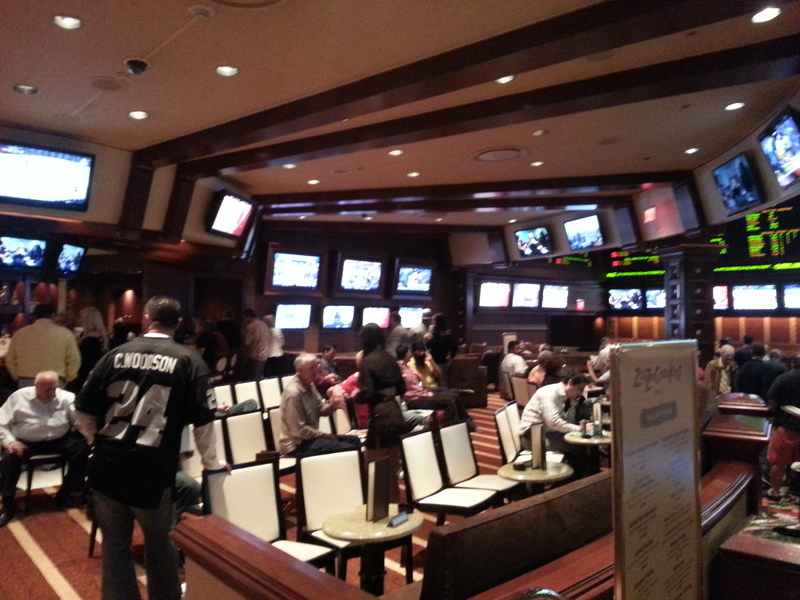 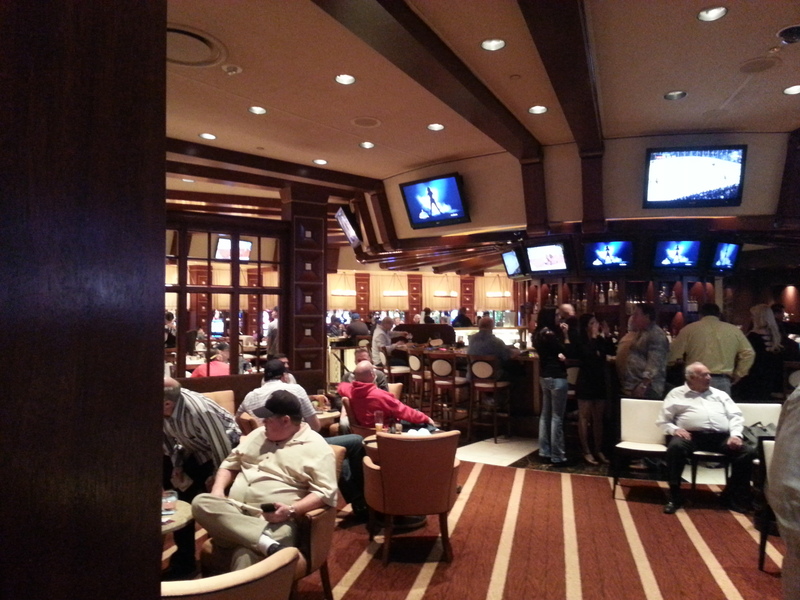 Watch games in leather bound chairs with your own interactive betting machines within arm’s reach. 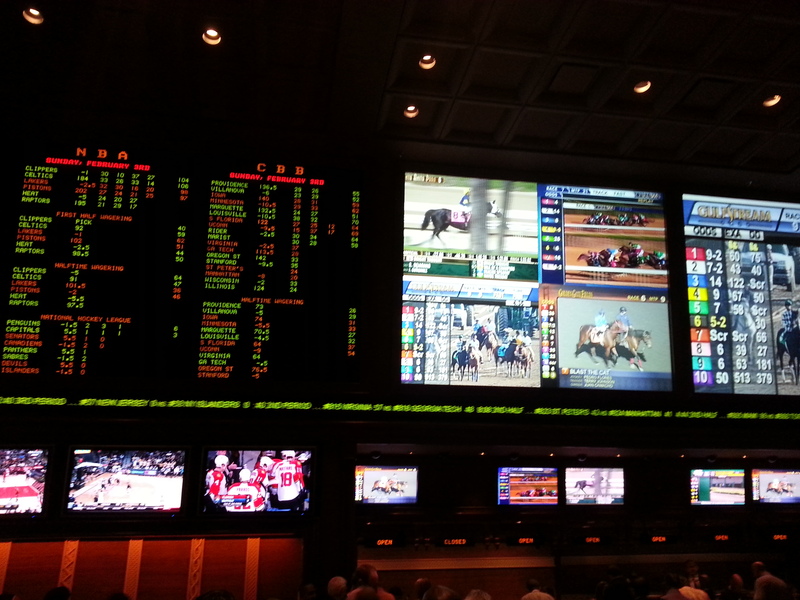 View 34 plasma TVs along with three 12×12 ones. 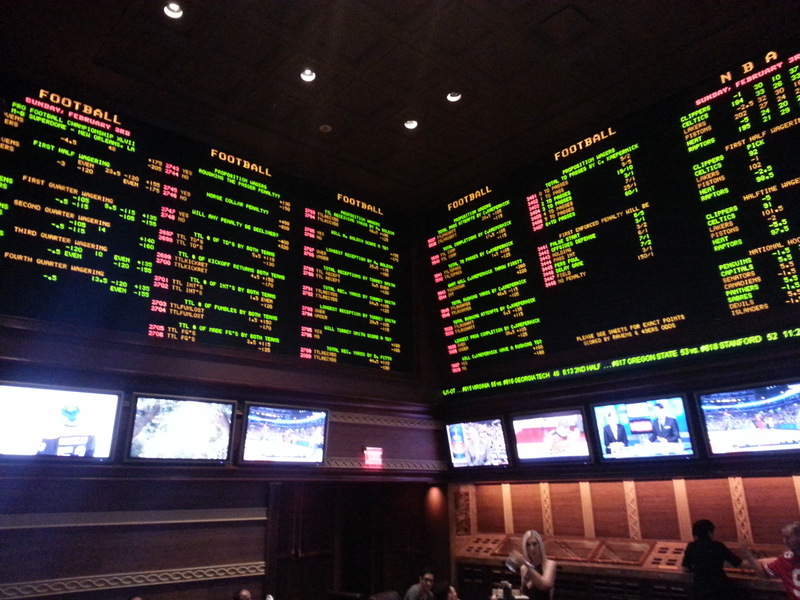 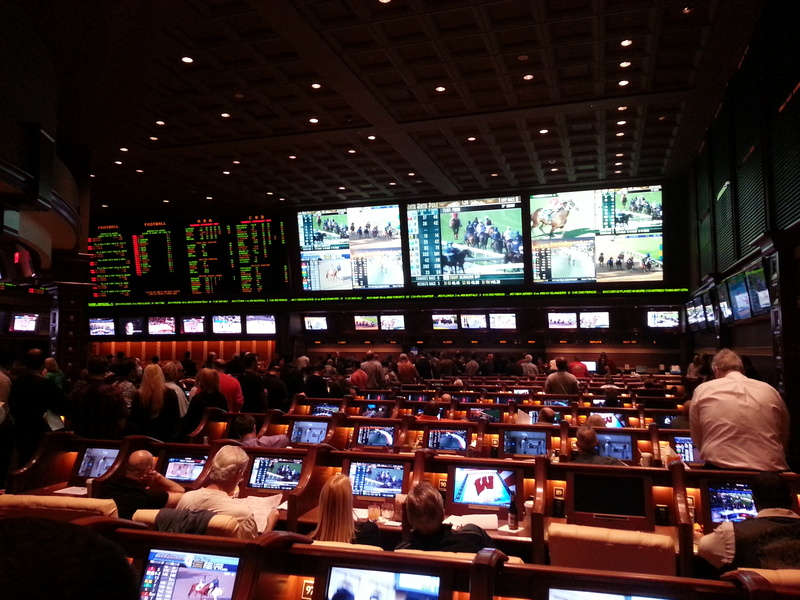 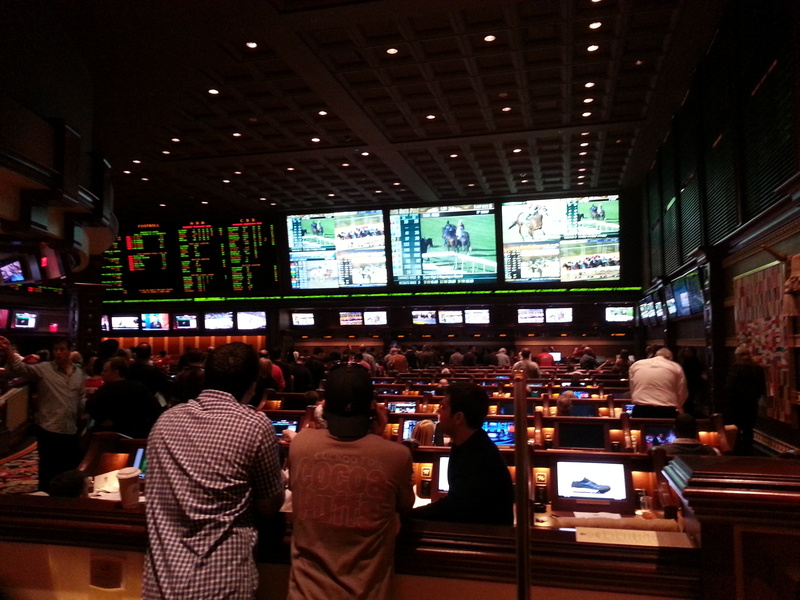 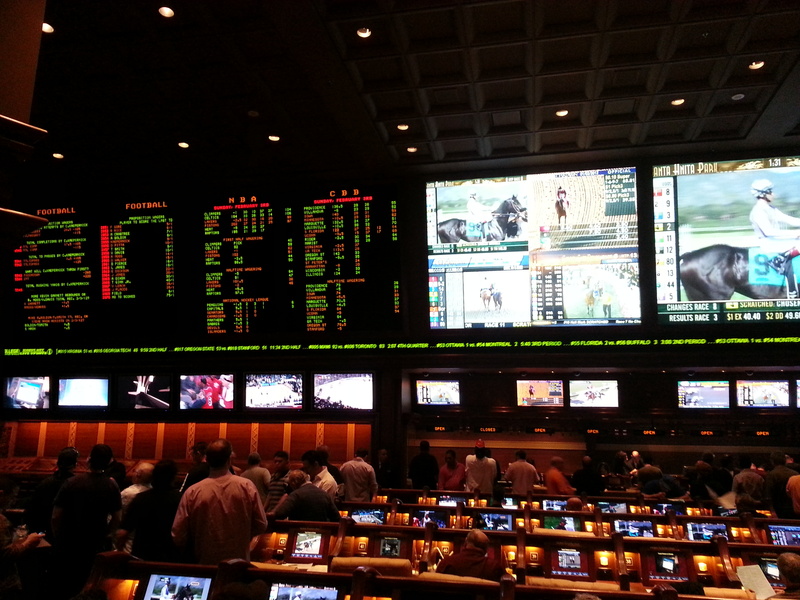 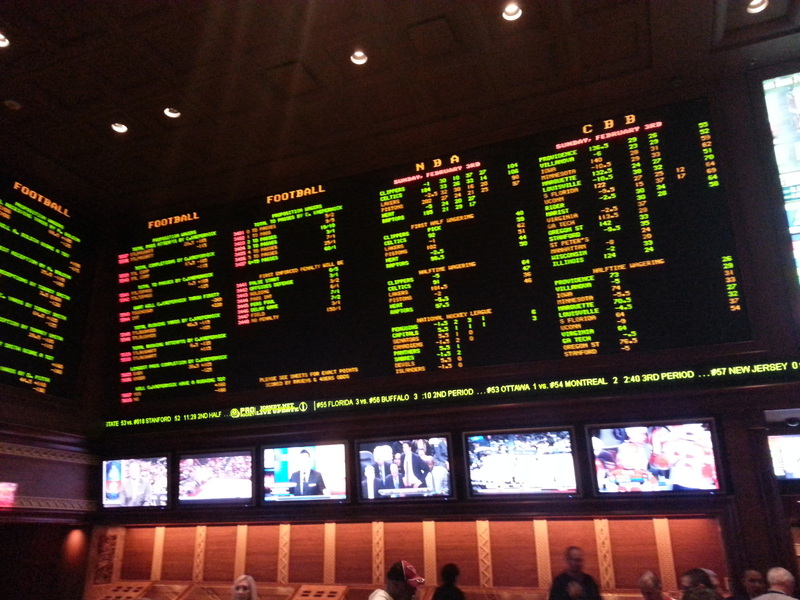 You can place all the usual sports wagers, plus futures in horse racing and futures & propositions in all major sporting events. 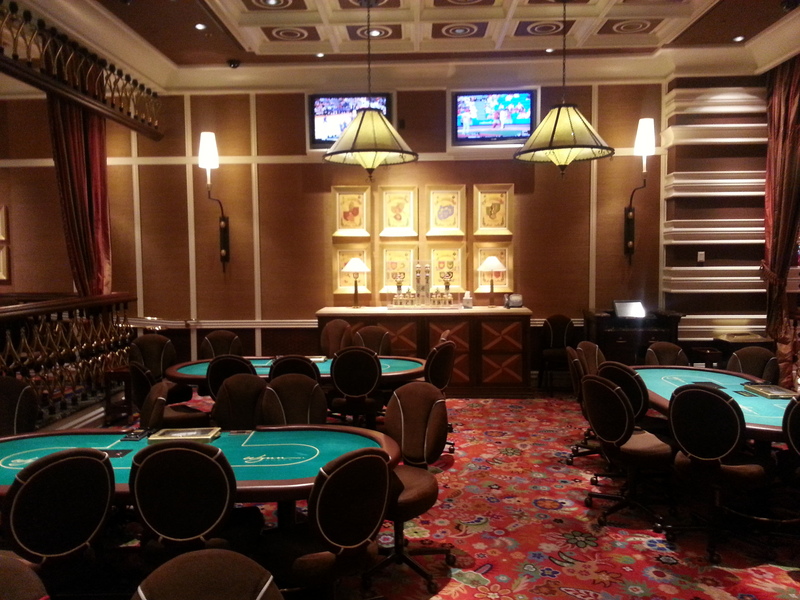 Open 8am to 11pm daily. 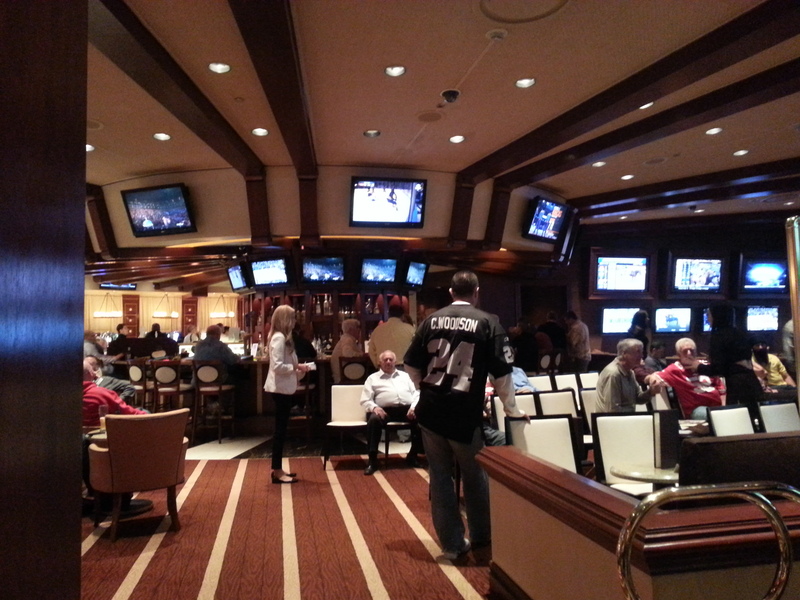 The connected sports lounge–equally lavish–brings the available seat count to 200. 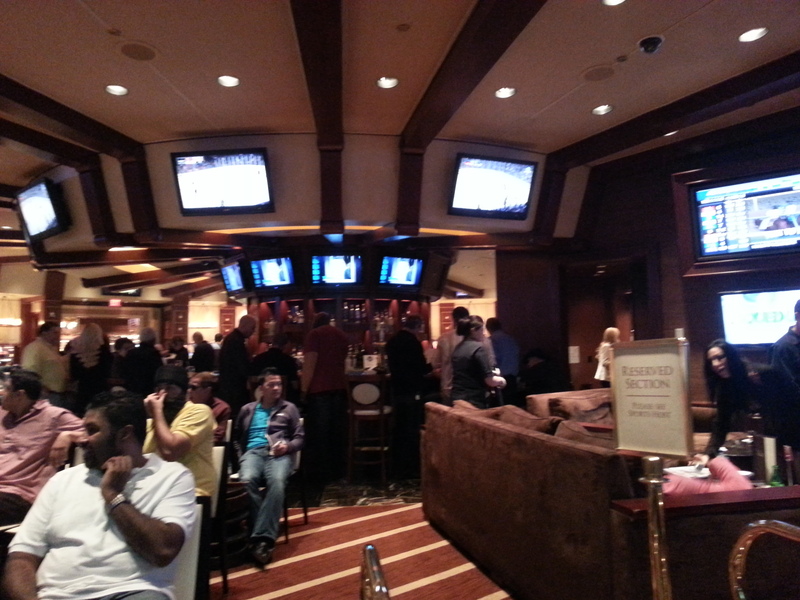 Zoozacracker’s Deli, right next door, serves everything from Reuben sandwiches to New England clam chowder.